The majority of Australians do not agree with the government's proposed cuts to Newstart, according to a new poll. The majority of Australians do not agree with the government’s proposed cuts to Newstart, according to a new poll. A national survey of more than 10,000 Australians, released by The Australia Institute on Wednesday, revealed more than half (55 per cent) of respondents said the Senate should not pass the legislation for cutting the Newstart allowance. The Newstart allowance is currently $263.80 per week for a single person with no children. The federal government has proposed to cut Newstart for new recipients by $4.40 a week by removing the clean energy supplement. Just 32 per cent of those questioned agreed the Senate should pass the government bill. The Australia Institute executive director Ben Oquist said the poll showed there was “strong opposition” to the dole cut across Australia. “Newstart is already at a record low beneath the poverty line,” Oquist said. Should the Senate pass the legislation cutting the Newstart allowance? 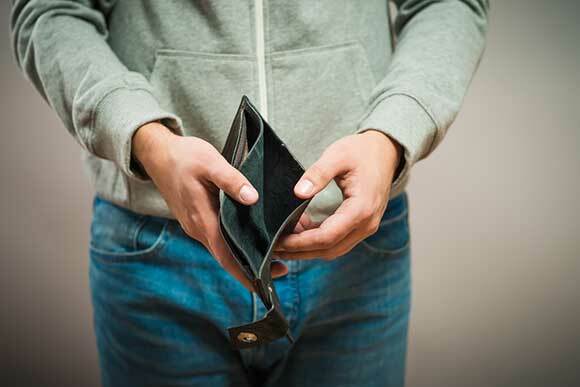 Last month, a study by The Australia Institute showed the level of financial support for the unemployed has fallen sharply since the early 1990s and is now 30 per cent below the poverty line. 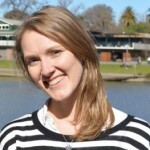 The Australia Institute deputy director Ebony Bennett told Pro Bono Australia News this latest poll showed both major parties were supporting a “highly unpopular” cut in pursuit of balancing the budget by targeting those who were “already struggling to make ends meet”. “It doesn’t look fair to the public,” Bennett said. When the figures were broken down by political affiliation the poll found 80 per cent of Labor supporters and 82.1 per cent of Greens opposed the cuts compared to just 28.5 per cent of Coalition supporters. “80 per cent is a very high number,” Bennett said. “This is a proposal of the Coalition and their voters are much more in favour of it. “But we can really see an extremely strong reaction against cutting the dole from Labor and the Greens and the other minor parties. 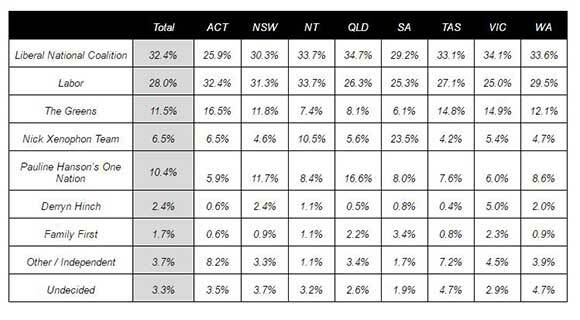 The ReachTEL poll, which surveyed 10,271 residents nationally on the evening of 30 August, also measured opinion on which parties respondents would vote for in the Senate if a federal election were held today. Thinking about the upper house or senate. If a federal election were held today, which of the following would receive your first preference vote in the senate? The poll revealed strong support for minor parties and independents in Senate voting intentions. “I think what we’re seeing is a continuation of a long-term trend away from the major parties that is certainly reflected in this poll,” Bennett said. Nearly 40 per cent of respondents would not vote for one of the two major parties with only 32.4 per cent choosing the Coalition and 28 per cent choosing Labor. As many as 10.4 per cent of respondents said they would vote for Pauline Hanson’s One Nation, with that number increasing to 16.6 per cent for Queensland. Oquist said Hanson was capturing the anti-politics vote. “The high One Nation Senate voting intention appears to have come partly at the expense of the Coalition support, but also as a gathering of the smattering of micro-party votes seen at the election under one ticket in this poll,” Oquist said.